In this workshop, rooted in Gabrielle Roth’s 5Rhythms movement practice, we use our dance like archeologists to dig beneath the surface, to seek buried treasures and pearls of wisdom gleaned from our own life experience. The 5Rhythms offer us both a map to understanding and a way to deeply embody the patterns, waves, and vibrations that organically move us from birth to death. Our journey will be a deep investigation into our personal relationship to the rhythms and rituals, the teachings and traditions, the people and places that have formed and informed who we are. Every session will be a deeper dance into the parts of us we wish to celebrate and honor, as well as those parts we wish to let go. Moving with a diverse group of people enriches our way. The work of Cycles focuses us on our common ground, providing us with an innovative, creative prism through which to view our journey. Please bring a journal, some family photos, and an object of deep meaning to you. 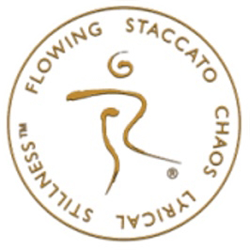 Cycles is a course requirement for 5Rhythms Teacher Training. Recommended reading: Roth, Maps to Ecstasy and Sweat Your Prayers.